​Please note I am currently overseas and this site is still in development. Wyldflower jewellery will be for sale mid-April, when I return to Australia. The product pages are currently hidden but you can have a look at the gallery page. 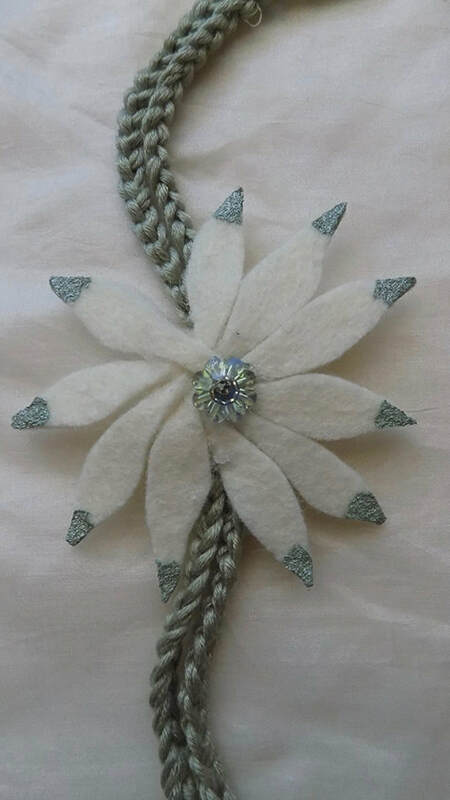 Wyldflower is a jewellery collection featuring flowers made from pure wool felt. At the moment I am focusing on my favourite Australian wildflower, the Flannel Flower. Having worked with Flannel Flowers for many years I feel connected to their essence. As I cut each petal, the flower takes on a life of its own. Each piece of jewellery is a one-off, every flower is unique, just as it is in nature. What appear to be petals on the Flannel Flower are in fact leaves. Unlike a daisy where the leaves are the same size and have the same number of petals, Flannel Flowers have a varying number of leaves which can be quite different in shape and size. I love the lack of uniformity or perfect symmetry. . The lariats are hand-crocheted and each brooch/necklace comes with it's own little handmade felt bag which displays the flower beautifully. Please note that when the Wyldflower collection does go on sale in mid-April there will be limited availability. If you would like any further information, please fill in the form on the contacts page and I will get back to you as soon as possible.